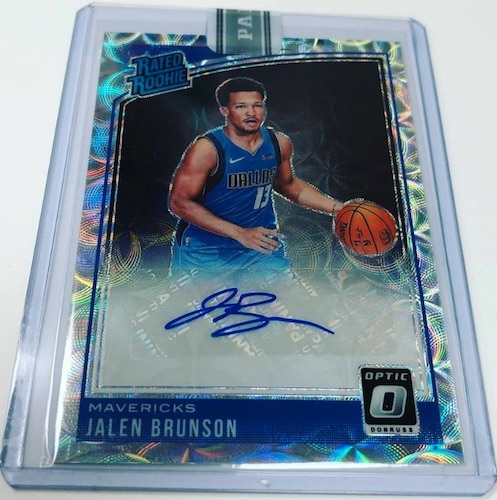 Direct from the Panini online store, 2018-19 Donruss Optic Premium Box Set Basketball offers a complete set in an exclusive patterned finish along with one low-numbered NBA rookie autograph. Echoing the "premium" in the title, each factory box set runs $400 and there are only 249 sets in total. 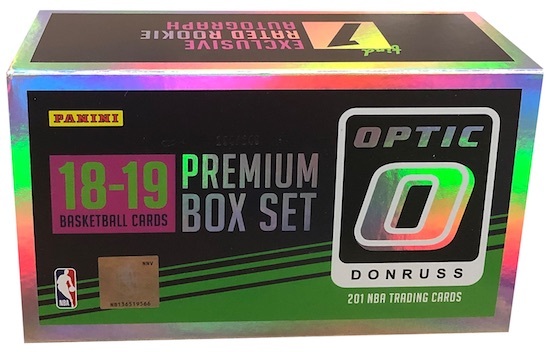 Basically an exclusive parallel of the main 2018-19 Donruss Optic NBA, 2018-19 Donruss Optic Premium Box Set Basketball contains the full 200-card set that includes all 50 Rated Rookie cards. Naturally, Luka Doncic is part of that RC lineup. The chromium set adds an overlapping holographic circle background to every premium stock card, which is only available in this format, plus a numbered print run of 249 copies. Although every card is number to 249, and all 200 cards come in each set, the box contains a random assortment featuring various combinations of card #1/249 to #249/249. 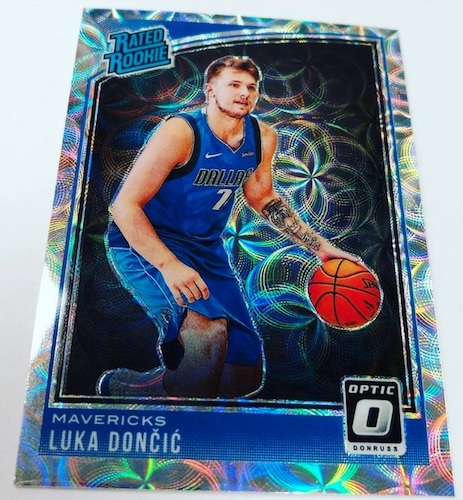 Collectors can also chase the 25 different Rated Rookie autograph cards, including Doncic. Numbered to only 10, these come one per box. 200 cards. Serial numbered #/249. Full set per box. 25 cards. 1 per box set. Serial numbered #/10. Shai Gilgeous-Alexander 2018-19 Panini Donruss optic rated rookie auto prism.